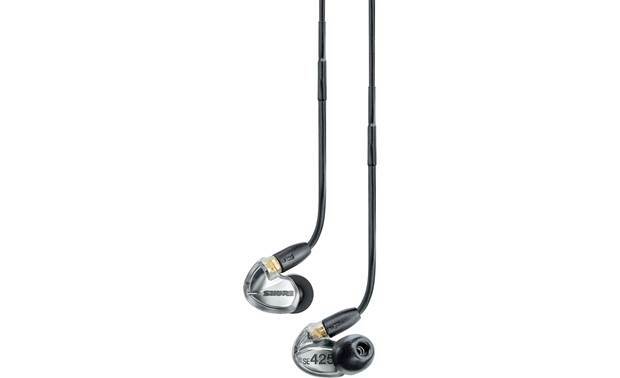 The Shure SE425 earphones were originally designed for making and monitoring music. The Shure SE425 earphones were originally designed for making and monitoring music. But over the years, they've earned a strong reputation from those of us who enjoy listening to music, too. 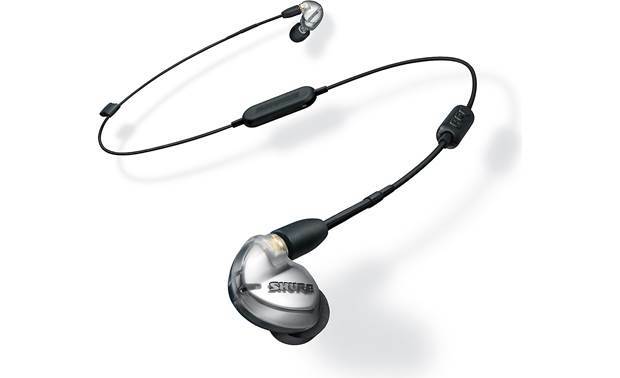 Shure has now made it easier to use them on the go. They've incuded a Bluetooth adapter cable that connects the two earpieces, so you can wirelessly play tunes and take phone calls from your phone. 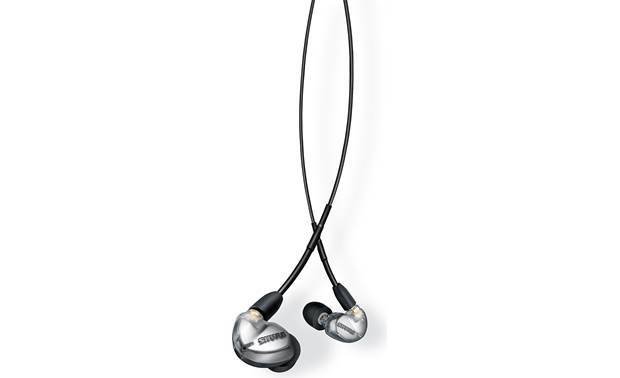 Shure includes two detachable cables with the SE425-BT1 earphones, so you can listen wired or wireless. 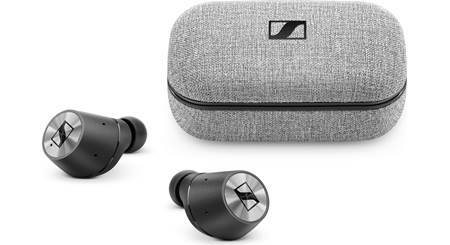 Each lightweight earpiece houses two micro-drivers — a woofer and tweeter — to deliver sound that is well-balanced with plenty of deep bass, lush midrange, and crisp high frequencies. 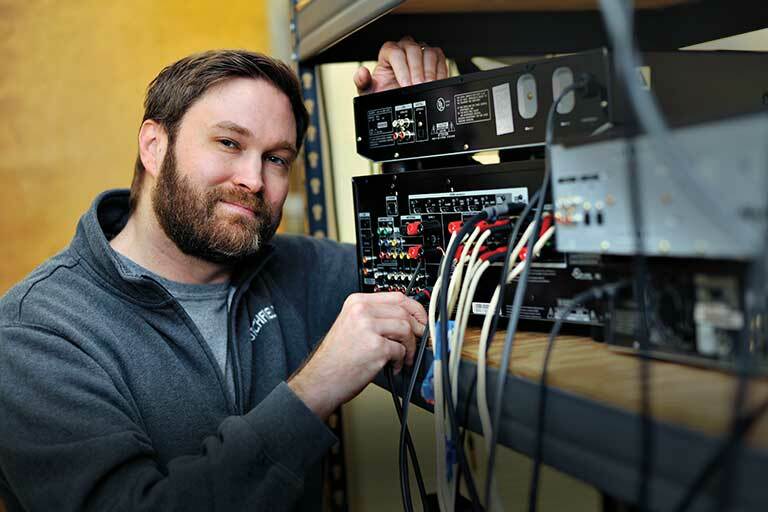 Here's a design perk — the Shure SE425-BT1 gives you the ability to switch out cables for different listening situations. Along with the attached Bluetooth adapter cable comes attached, you'll find a remote mic cable with a 3.5mm miniplug and a 1/4" adapter. That makes it easier to connect these headphones to a portable music player or headphone amp — so you can drive them to their top potential. 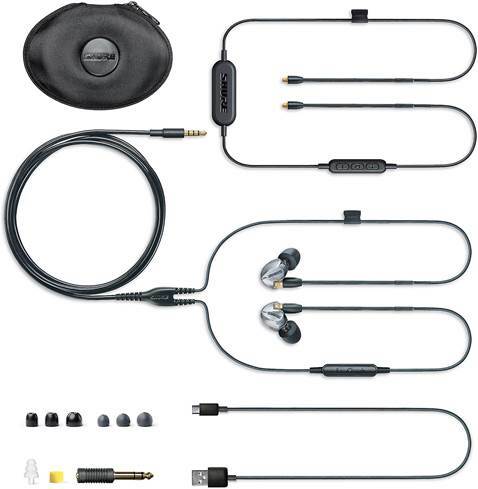 Outstanding sound & fit. Great battery life ?? 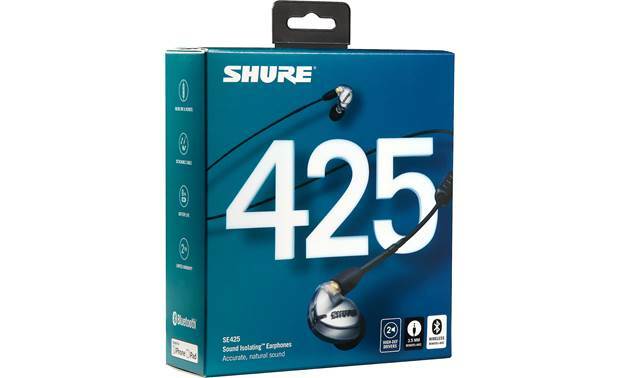 Overview: The Shure SE425 Sound Isolating Earphones (SE425-V+BT1) deliver crystal clear, spacious sound with rich bass. 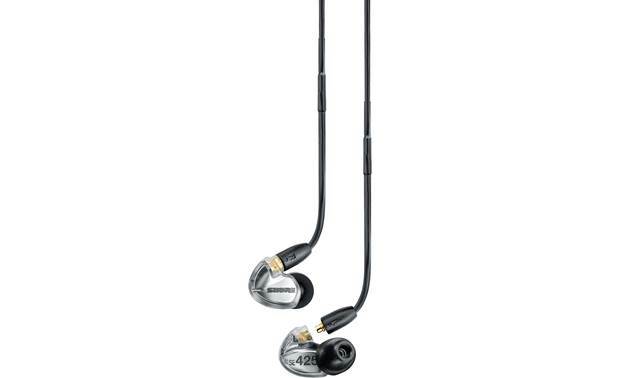 These in-ear headphones are equipped with dual High-Definition MicroDrivers for accurate, natural sound. The SE425s come with two cables: the RMCE-BT1 Bluetooth-enabled cable, and the RMCE-UNI cable with an in-line mic/remote. Also included are a 3.5mm-to-1/4" plug adapter, and a hard zippered storage case. 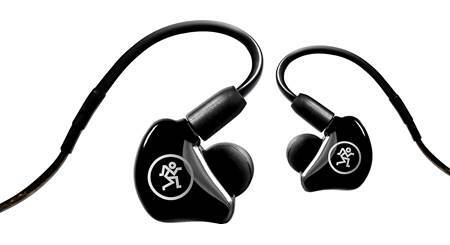 The SE425 can be used for personal listening and in-ear monitoring. 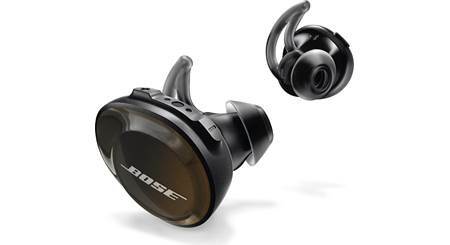 are they still noise cancelling when they are being used as wireless? I had the same concern... They are rated IPX 4 which should cover sweat but I wouldn't advise swimming in them. 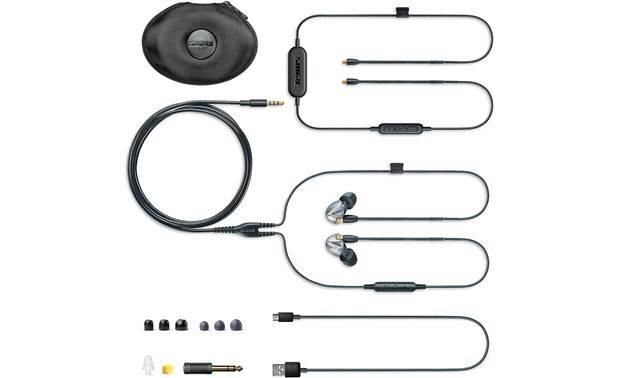 Shure's site isn't clear, though specs on these from multiple sites (including the specs on Crutchfield) indicated IPX 4. They are in-ear monitors for performers, after all... and performers sweat! 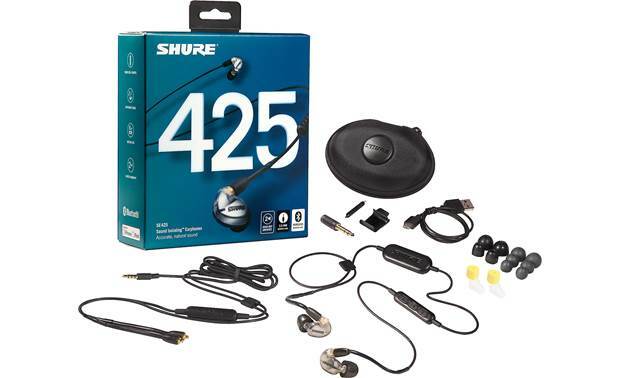 Searches related to the Shure SE425-BT1 Sound Isolating™ earphones with wireless Bluetooth® adapter cable.